Introduction: What Is A Will and How Does It Work? Drawing up an estate plan protects your assets when you die and it helps to protect your family members. This is where a Will comes into play, which provides for the settlement of your property at the time of your death and your property is handled just the way that you want it disposed of. You can set up your Will the way you want, either in a general manner or you can be as specific as possible. To put things into perspective, as to why you need a Will, if you die without a Will, it is called dying “intestate.” Without a will, your state’s laws will determine who receives your property and assets. Laws will vary by state, but generally, the distribution of your assets will go to a spouse and/or children. Thus, a Will allows you to plan your own personal preferences and wishes to help loved ones who are left behind and for whom you want to carry on in the best financial way possible. Laws for planning your estate can become complicated and seem unfriendly toward your planned estate requirements. Yes, you can draw up a simple Will, depending on the amount of property and assets you have. However, to make sure that you did not miss something in drawing up your own Will and to make sure that your loved ones are cared for just the way you want, a qualified attorney whose skills are in planning qualified trusts, probates, taxes, and estates, should be consulted. Lawyers know and understand a lot of the minutia’s of estate planning law rules that effect your legal and personal distribution issues for your beneficiaries. How are assets distributed and what if I don’t have a lot of assets? How do I plan for my children or even my pets? What happens to my genetic embryos, eggs, or sperm on ice? How else can I avoid probate? Modern Planning as it pertains to transgender relationships, unmarried couples, blended families, and LGBT issues. If you have listened to talk radio stations or watched TV and you see that a local legal workshop or seminar, is being offered at a location near where you live, it is most likely being sponsored by an estate planning law center. The centers provide information on laws regarding estate planning within their workshops and educational topics. They have helped many people and entities with post life planning and laws regarding estate planning. They are also available to help in unexpected life crisis. 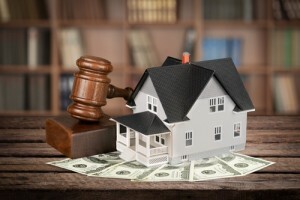 Estate Tax: Massachusetts, Rhode Island, Connecticut, New Jersey, Delaware, Maryland, Hawaii, Washington, DC, Tennessee, Illinois, New York, Minnesota, Washington State, and Oregon. Inheritance Tax: Nebraska, Idaho, Kentucky, Pennsylvania, New Jersey, and Maryland. Can you now see how a simple dream to leave your assets to people that you love, can become complicated and a little stressful. That is why, devising a Will or Trust is best left to the legal experts, so that you can literally rest in peace, knowing that everyone you love and care about are taken care of.